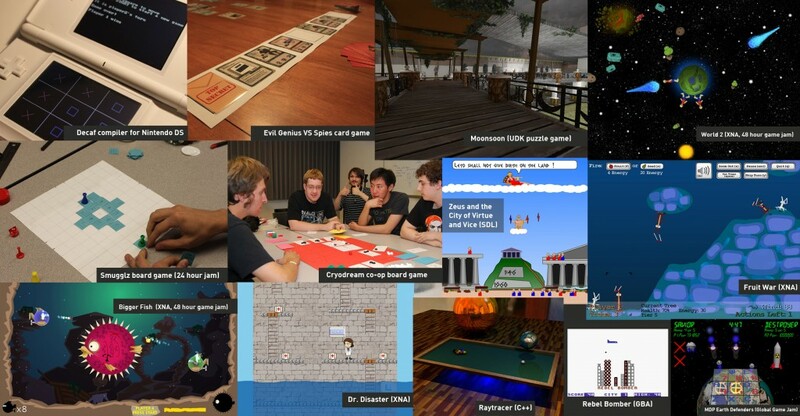 In January I participated in the Global Game Jam at the Vancouver location. I worked on a game called City Pulse with Shane Morin and Mex Hsu. Shane pitched an idea where you revive a dead city by moving pulses throughout the area using pumps. It took awhile until we were able to concretely define the gameplay but we finally settled on using energy towers that send out pulses that degrade over time. The concept was inspired by Space Chem but the final version turned out to be more action oriented than puzzle focused. Choosing Unity – I’m fairly confident in using Unity and Shane also had worked with it before. We didn’t have much trouble getting the game running. 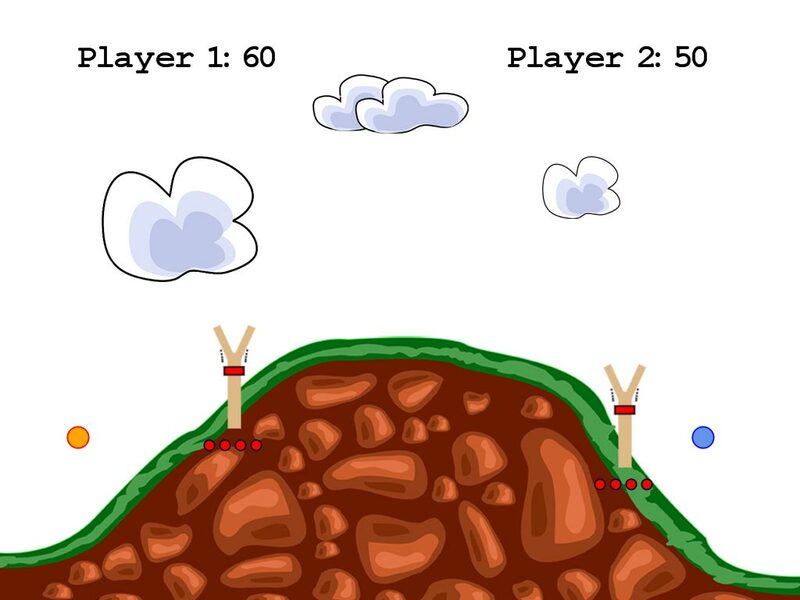 Creating levels – My other game jam games either had a single level or procedural levels so I was looking forward to having multiple levels in this game. Last minute sound – Gordon McGladdery did a fantastic job creating some quick sound effects hours before the deadline. It turned out to be a great collaboration because I was accustomed to adding audio at the last minute in Unity. 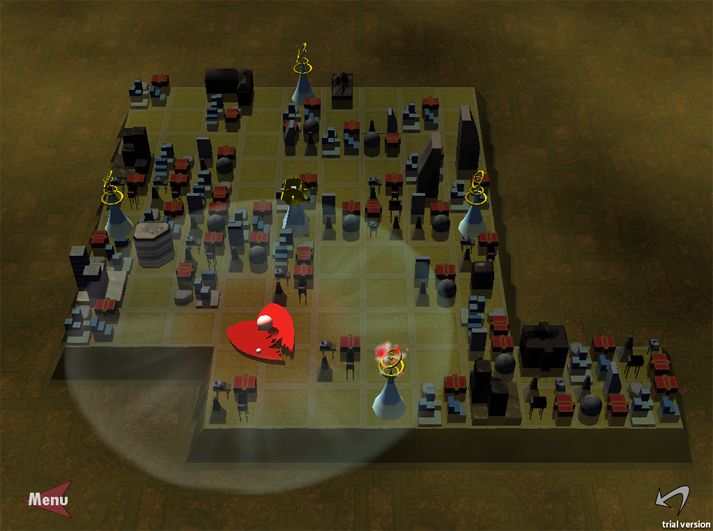 Missing visual feedback – The directional towers didn’t have an animation to indicate they were charged. It was also hard to see which buildings were the critical ones that needed to be lit up. Everyone wanted to tap the heart – We designed the heart to emit a pulse when there is no pulse or tower left with a charge. It’s automatic but players continued to tap on the heart even when we told them it did nothing. Slow start – We weren’t able to start programming until late the first night. The Ethernet ports weren’t working so Shane and Mex couldn’t connect to the internet to activate their Unity license. Overall it was a really fun project to work on. Since then I have fixed a few bugs and made it easier to see which buildings you need to power. You can play the game in your browser if you have the Unity Web Player plugin installed. Here’s a quick video of a game I made over the weekend at the Full Indie game jam. It’s a co-op game where you shift enemies between universes since the only way to kill them is with the opposite elemental shot. I’m planning to fix some bugs and upload a web build that can be played locally on the same keyboard later this week. I thought it would be fun to create a collage of some of my past game projects of the last few years. Quite a few of them were for game jams I organized for the SFU Game Developers Club and those were perhaps the most enjoyable ones to work on. It was very humbling working with amazing artists and musicians while focusing on programming for once. Of the projects I worked on, Evil Genius VS Spies is perhaps the most polished game. I will someday upload these games but for now here is a collage of screenshots. Some projects I've worked on in the past few years. 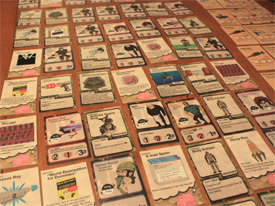 Evil Genius VS Spies is finally finished and the cards have been printed. The cards in physical form look absolutely amazing. It was a surreal experience seeing the printed cards for the first time. Up until last week we were still playing with plain text cards that had pencil marks over them. I decided to buy clear protective card sleeves to keep them in good condition. What was really surprising is how they fit the sleeves perfectly even though we adjusted the card dimensions to reduce printing costs. Gameplay is still a bit rough in a few places and I will likely continue working on it in the future. It is completely playable and a lot of fun to play although I’m probably biased. So if you don’t believe me, go to the project page by clicking on the image below and print yourself a copy of the game. We decided to release the game for free under a creative commons license in hopes that people will build upon the game. If you do please let us know as we would like to hear about what you came up with. I’ve been working on a card game called Evil Genius VS Spies which is nearing completion for my advanced game design class. My team finally has a decently balanced set of cards and now we’re designing the card layouts and rule book. It is an asymmetric card game with gameplay that focuses on the spatial relationships between cards. 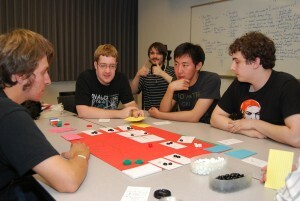 One player takes the role of the evil genius and constructs an evil lair to carry out an evil plan. The other player plays as the Spies, building intelligence networks to support spies and infiltrate the lair to thwart the evil genius’ plans. The objective of the game is to thwart or carry out 10 evilness worth of evil plans. In my game design class the focus has always been on learning game engines rather than actual design skills so amazingly we got permission to do a card game. The best part about it is we went through tons of iterations to see what worked and what didn’t. It really taught us a lot about game design and balancing in general. The card set will eventually go online so everyone can print them out and try it. I was hoping to release it on thegamecrafter.com but with shipping for a small card game to Canada being almost 3 times the cost as the product, it might have to wait. Below is a sample card from the game. I created the card art in Maya and Brooklyn Hillman created the card layout. I’ve been working on a new game tentatively called Towers and Catapults but the design has changed enough that it no longer describes the game. I’m working with four other people in my advanced game design class. My role is primarily programming but I also do some game design and project management. We’re programming it in C# using XNA and the Farseer Physics library and considering eventually releasing it on XBLIG. The game is a turn based strategy game where players try to attack each other’s slingshot fruit trees by launching fruit they grow. Players can also use up more fruit and plant a seed on a floating platform which will grow and allow them to get a more strategic position to fire from. The game ends when either side defeats the opponent’s mother tree. Trees take damage when their trunks are hit and their branches act as a shield absorbing damage but will break off if hit hard enough. We’re still tweaking the design so it might change. Below is a screenshot of an earlier build which is still missing a lot of core gameplay. We came up with this idea by thinking about the essential experience we wanted the player to have. Jesse Schell, in his excellent book The Art of Game Design: A Book of Lenses describes the essential experience to be something every designer should focus on because games like architecture are all about the experience. The experience we decided to go with is the fun of launching a slingshot. This particular experience was proposed by me thinking back how I would create catapults out of Lego to launch blocks across the room. The experience can be broken down into three components or phases. Setting up the shot by pulling back to adjust angle and power. The projectile flying through the air creates anticipation. When the projectile lands it interacts physically with whatever it hits. We were able to confirm with playtests that these phases not only exist but they are incredibly fun if done right. We looked at what kind of catapult to use and decided on a slingshot because it has more degrees of control than a trebuchet. Then we looked into the properties of rubber bands to see if any of that could be translated to gameplay. Heat makes the rubber band contract; if you stretch it, it creates heat. It’s used to launch air crafts and also as a motor for toy planes and boats. Our final idea didn’t incorporate these points but I thought it was worth mentioning. I’ve done some paper prototyping in the past but I forgot how fun it is. Recently I organized a tabletop game design competition and made a pretty sweet cooperative card game called Cryodream with Ryan Bujnowicz and Alex Ryan. The story is you are on a ship in cryogenic sleep heading towards a far away planet to colonize and every so many years one person wakes up to check if everything is operating fine. Before going back to cryogenic sleep you choose who will wake up next. Each member of the crew has a different job, for example, a mechanic can build and fix things while a diplomat is good at running away from hostiles. Over the course of the game you go through six different environments which have a special event (eg. a virus infection or being hit by asteroids) and probabilities of encountering hostiles, friendlies or nothing. If you acquire a second engine you can look at the next two environment cards and choose where to go as a branching mechanic. It was quite hard to create and balance this game in about 8 hours and it ended up being too easy. The battle mechanics notably need work since there is rarely an instance where you’re in danger of dying. The environment mechanics worked quite well although I feel they could be expanded upon. One idea that we dropped during development was a grid based movement system inside the spaceship where proximity between generators and items that require power matters. I really liked this idea so perhaps it will make its way back into the game. In short if you haven’t tried paper prototyping it is simply awesome. The developers of Shadow Complex discuss how they used it in a recent interview, which I highly recommend reading.